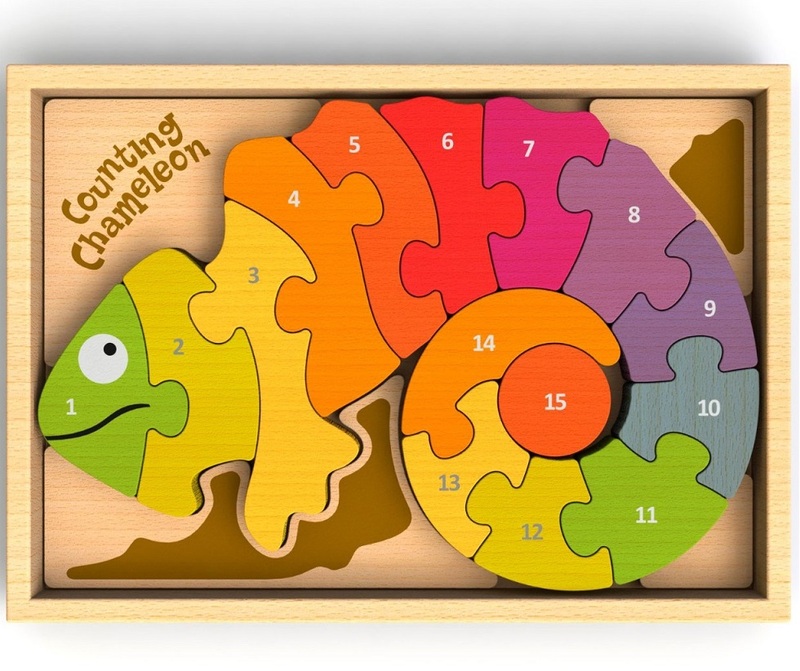 Our colorful chameleon teaches numbers 1 to 15 on one side and roman numerals on the other. 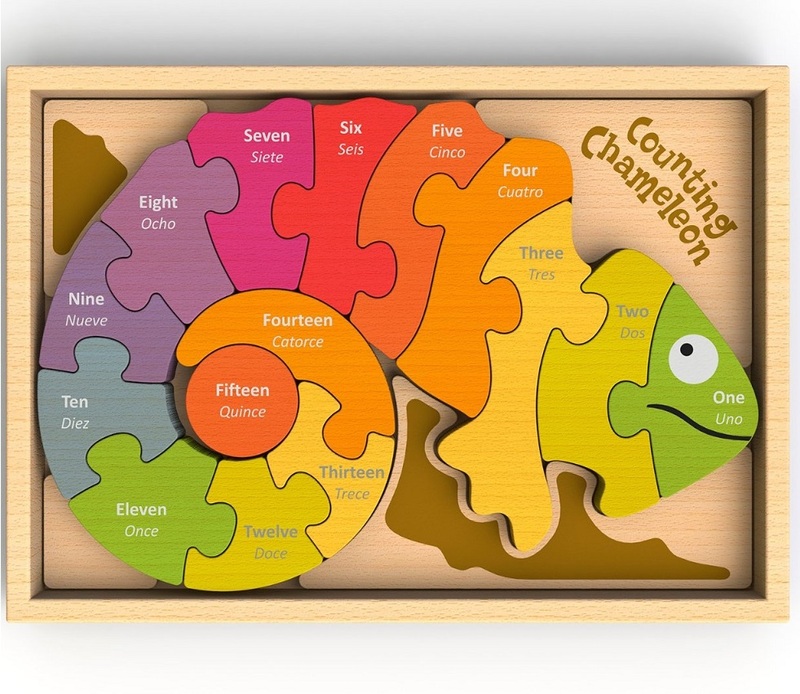 Each chunky, double-sided piece fits sequentially for a rainbow of counting fun! 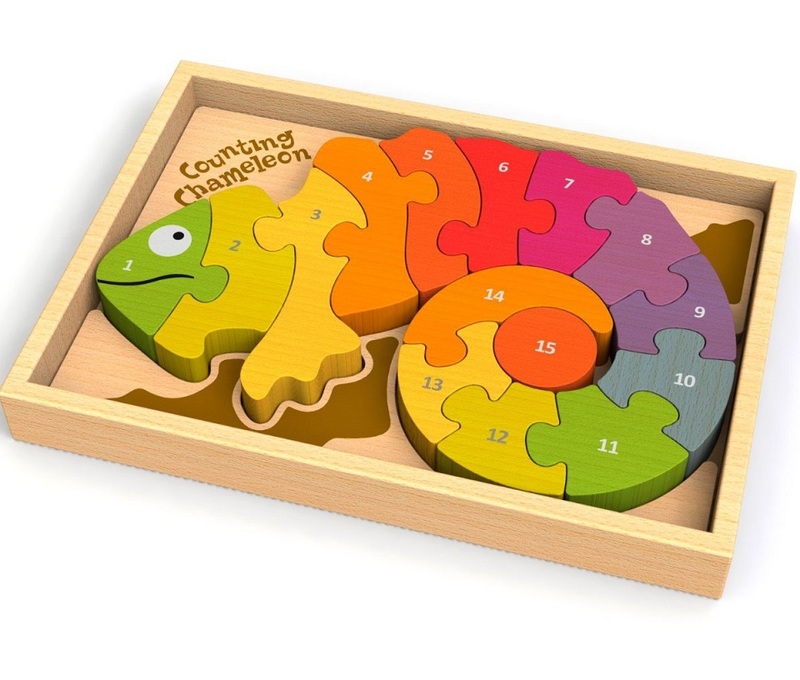 Made from sustainably harvested rubber wood with non-toxic, child safe stains, the puzzle includes a 7"x10" wood tray for storage and display.